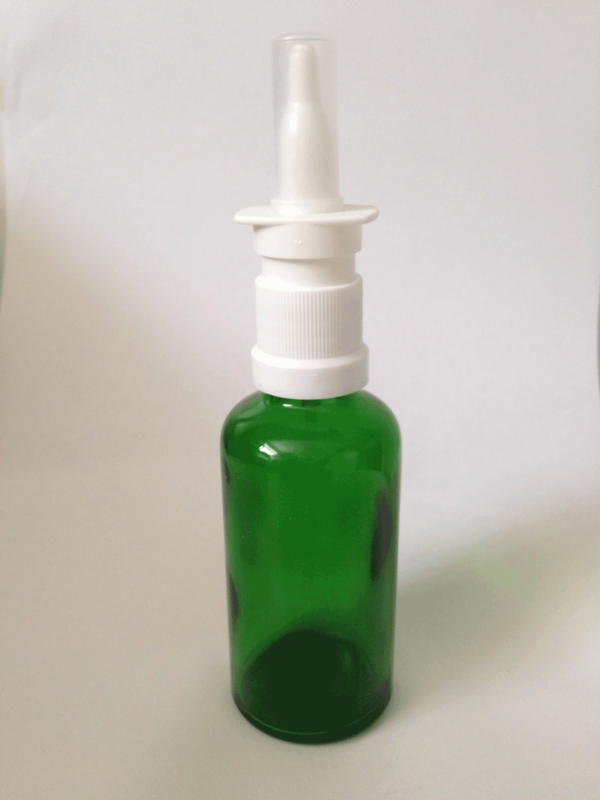 Description: Sterilised 50mls Green Glass Dropper bottle with 18mm White Nasal Spray cap. For use with Natural Herbal Nasal Spray Concentrate 100mls. Add 25mls concentrate and 25mls water to make up Natural Herbal Nasal Spray for use. Alternatively add your own Nasal Spray creation.